PHILADELPHIA (AP) — A cancer researcher pleaded guilty Friday to conspiring to steal biopharmaceutical trade secrets from GlaxoSmithKline in what prosecutors said was a scheme that involved plans to set up companies in China to market them. 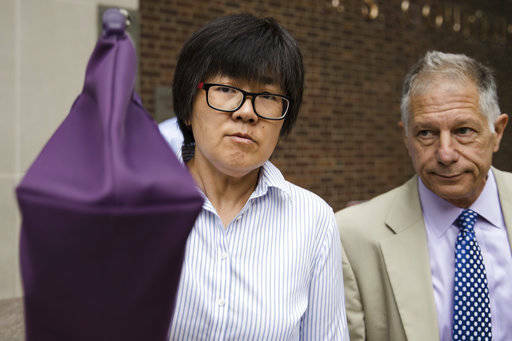 Yu Xue entered a guilty plea in federal court to a single conspiracy count. The government dropped more than two dozen other pending counts against the researcher. In court Friday, Xue said she didn’t understand that the material she was emailing to her private account and then to others— including portions of her own patent application for certain research— was considered trade secrets. “A trade secret to me is not publicly available. The patents I sent to them is publicly available,” she said, noting that she sent the preliminary application for a patent on her research. Judge Joel Slomsky noted that prosecutors did not have to prove that she understood it was a trade secret, but that she knew she was sharing confidential materials. Slomsky said he believed federal prosecutors had met that burden of proof. Prosecutors have described the 48-year-old U.S. citizen as one of the top protein biochemists in the world. She had worked at GlaxoSmithKline’s research facility in suburban Philadelphia for about a decade and had become a senior manager. She was fired shortly after charges were brought against her in early 2016. 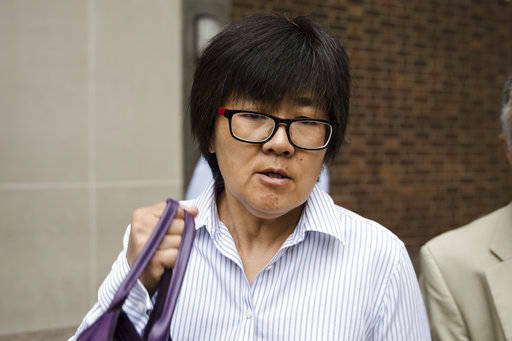 Prosecutors had accused her of downloading and emailing confidential information including research on specific cancer drugs and working with four others, including two people in China, charged in connection with the scheme. Another research scientist at GlaxoSmithKline, Tao Li, was also charged in the scheme. She has a change of plea hearing scheduled before the court in a few weeks, but it was unclear if she would be pleading to the same charge as Xue. Slomsky set a sentencing hearing for Dec. 18, but agreed to hold an evidentiary hearing prior to that date that will largely focus on the difference between prosecutors’ and defense attorneys’ arguments about how serious the crime was and how much potential financial damage was caused. 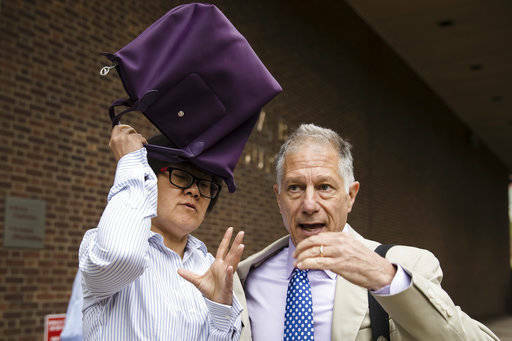 Xue is facing up to 10 years in prison and a $250,000 fine. She could also be forced to pay restitution for the value of those secrets, which would be capped at $2 billion. “There are vast differences between the parties as to the value and importance of the information stolen,” Assistant U.S. Attorney Robert Livermore said. Federal prosecutors have had to drop charges or withdraw cases in several other high-profile trade secret cases in recent years, including that of Temple University professor Xiaoxing Xi, who was accused of stealing sensitive technology involving superconductivity in 2015. Charges were dropped when investigators realized the information shared did not amount to trade secrets. Joel Coats receives research grant funding from the U.S. Department of Defense Deployed War Fighter Protection Program. As humanity experiences relentless pressures from disease-carrying mosquitoes in many parts of the world, there is an urgent need for new tools to use against those beasts – because they keep getting scarier. Even though DEET remains the most commonly used, and most powerful, mosquito repellent ever developed, scientists are actively pursuing effective products based entirely on plant oils, some tracing their roots to traditional remedies. The advantages of these plant-derived repellents are their pleasant fragrance, and nice feeling on the skin and vapor action, but only if we can coax these natural compounds to last as long as today’s commercial products. While DEET is an effective contact repellent, many people dislike the oily feel and smell on their skin, and sometimes skin irritations occur. One consequence is that military personnel are less inclined to comply with using DEET on the skin because it is unpleasant to use. This raises their risk of them contracting mosquito-borne diseases. Consumers are always interested in alternatives to DEET and other synthetic repellents, so there are numerous natural repellents on the market. In my lab at Iowa State University, my team and I have been conducting research on natural products as possible insect repellents for the past 20 years. We began by following up folklore regarding catnip oil, from the catmint plant, and Osage orange (hedge apple) as repellents for insects and spiders. First we proved that they could repel these insects, and later we identified the individual chemicals, called terpenes, in their oils that are responsible for their repellent action. These discoveries earned us three patents on those natural terpenes as repellents, and the rights were licensed to a California company. The strongest natural repellents were fast-acting but did not last very long. A few from the Osage orange had longer-lasting activity, but they were expensive to isolate from the fruit or synthesize in the lab. Many other plant essential oils, the “essence” of the plant, have been explored as insect repellents by our and many other laboratories, but virtually all of those natural repellents were too short-lived, providing protection from insects for little more than one or two hours. Some of the best oils are lemongrass, cinnamon, and oil of citronella. Our group took up the challenge to design highly effective, long-lasting repellents. Since those earlier studies, my research group has focused on making derivatives of the best natural repellents in a quest to boost the repellent potency of the terpene that lasts up to eight hours in the laboratory. Three of my Ph.D. students – James Klimavicz, Caleb Corona and Edmund Norris – have contributed greatly to this project by designing, synthesizing, purifying, characterizing and testing more than 300 closely related chemicals derived from the best of the natural repellents like citronellol, menthol and thymol. These students have successfully tested these derivatives against three species of mosquitoes: the yellow fever/Zika virus mosquito Aedes aegypti, the northern house mosquito which transmits West Nile virus, Culex pipiens, and the African malaria mosquito, Anopheles gambiae. In addition, they have evaluated the potency of the best ones against dog ticks and the deer tick, which transmits Lyme disease, and also house flies. One group of the new repellents act through the air, much like citronella oil in yellow candles. These chemicals have a vapor action that provides protection, and they are called “spatial” repellents, since they act through space. These are potentially most useful in backyards, parks, houses, barracks and horse barns. Another group of the new compounds are the classic “contact” repellents that repel insects from standing on a treated surface, such as human skin, clothing or tents; collaborators at the USDA-ARS in Gainesville, Florida, and BioGents in Regensburg, Germany, have conducted testing with humans to confirm the effectiveness and identify the very best ones. My laboratory currently has a three-year grant from the Department of Defense’s Deployed War Fighter Protection Program to take the research and testing to the next level, beyond the laboratory. Our compounds are being tested by a commercial partner to explore whether spatial repellents can provide days or weeks of protection in a building or outdoor area. They plan to test the best candidate formulations against mosquitoes in field tests in Tanzania first, and then other countries in the tropics. The new derivatives are being termed “biorational” because they were designed from and made from the natural terpenes in plant essential oils. They maintain many of the advantages of the natural repellents: They are fully biodegradable, with no ecotoxicology concerns or environmental residues, and generally considered safe like the thousands of types of plant essential oils used in the flavor and fragrance industries. However, thorough toxicology testing will need to be conducted to determine if they are truly non-toxic. Stuart Murray received funding for this research from the National Institute of Mental Health. Also, he receives royalties from Oxford University Press and Routledge publishers for books relating to the treatment of eating disorders. WASHINGTON (AP) — The Pentagon says it’s taken final steps to cancel $300 million in planned aid to Pakistan. The move earlier this summer reflects the Trump administration’s dissatisfaction with Pakistan’s commitment to assisting the U.S. strategy for pressuring the Taliban, whose leaders use Pakistan as a sanctuary. It comes at a delicate moment in the U.S.-Pakistani relationship, following the election victory of Imran Khan, the new Pakistani prime minister. His foreign minister, Shah Mehmood Qureshi, said Sunday in Islamabad that he’s expecting a visit Wednesday by U.S. Secretary of State Mike Pompeo. “We will hear him and let him know the aspiration of the nation,” Qureshi said. Pentagon officials say a request was submitted to Congress this summer for authorization to use the $300 million for other purposes. The request has not yet been approved. The move was first reported by Reuters. A Pentagon spokesman, Army Lt. Col. Kone Faulkner, said Sunday the request to Congress was made in June or July and was “due to a lack of Pakistani decisive actions in support of” the U.S. strategy for bringing the Afghan conflict to a political solution. The Pentagon announced in January that it was suspending aid, known as coalition support funds, to Pakistan, and subsequently the Congress cancelled $500 million in such aid. But the Pentagon did not take final steps on the $300 million until this summer. Labor Day is our New Year’s Eve. Rather than vowing to lose weight or spend less time on our phones, as college professors we head into the new school year with a different kind of resolution: to inspire and prepare our students to become agents of positive change. The world’s problems certainly didn’t take a break this summer, and we know that successfully addressing them depends on a mindset much broader than any one discipline can offer. Our strategy is to cultivate a way of thinking that blends insights from multiple perspectives. As a psychologist, an anthropologist and an historian who teach at an engineering college, happily, we see examples of this kind of integration all around us. Global climate change may be the biggest challenge facing humanity, and it is a problem that illustrates the world-changing implications of interdisciplinary problem-solving. In an analysis of the economic impact of reducing greenhouse gas emissions, experts at the consulting firm McKinsey & Company identified a spectrum of strategies and their associated costs. Options like converting to nuclear energy, shifting to electric vehicles, and retrofitting coal and gas plants all have great potential, but we can produce the most benefits for the lowest cost by adopting strategies such as switching homes to energy efficient lighting and better insulating our residences and workplaces. Compared to changing the national energy supply chain, these changes aren’t highly technical. They are matters of changing human beliefs and behavior. An article published in Science last year diagnosed the real problem of climate change in this way: “Experiencing the self as separate from nature is the foundation of humanity’s damaged relationship to planetary resources.” The only real solution to the climate problems facing our planet is to change mindsets, an approach that requires a complex understanding of all the ways that individuals and institutions interact with the natural world. In other words, students should not only study the social sciences or the natural sciences, but also learn how the insights gained from both can be combined to be even more powerful. The importance of making connections across perspectives also plays out at the local level. One traffic intersection in the center of Drachten, Netherlands, accommodates 20,000 drivers as well as many bicyclists and pedestrians each day. As a result, it became notorious for its high rate of accidents and deaths. A conventional solution might have been to load up the roads with signage and signals that clearly instruct everyone where to go and when. But when Dutch traffic engineer Hans Monderman approached the problem, he saw the congested conduit as a place of profound disconnection. Rather than peppering the roads with signs, in 2003 he took all signage away. This approach to “shared space” design meant that drivers, cyclists and pedestrians had to increase their awareness of each other to successfully navigate the intersection. This reliance on human connection rather than engineered traffic patterns upended conventional thinking, and dramatically decreased the number of accidents and deaths. The most innovative solutions to local problems like this demand deep integration of quantitative and emotional insights that are too often segregated between traditional academic disciplines. Finally, we see many challenges at the individual, personal level that call out for integrated thinking. Terri, a Boston-area woman in her 60s who uses a wheelchair, told a team in one of our engineering design classes here at Olin College of Engineering that she finds grocery shopping a cumbersome and physically painful experience. A traditional engineer’s answer might point her to online services that could provide convenient in-home grocery delivery without unpleasant exertion. But when our students joined Terri at the supermarket, tried to navigate the store from her wheelchair, and spent time with her in her home, they discovered something unexpected. For Terri, grocery shopping wasn’t only focused on getting food, but offered a special opportunity to laugh with the butcher, exercise autonomy and experience community membership. An online service could deliver her ground turkey, but it would also make her feel lonely. The students’ solution was a custom easily adaptable rack for the chair – painted bright purple, Terri’s favorite color – that eased the physical challenges of shopping while enhancing her ability to engage with her community in a meaningful way. Devising this solution required a nimble synthesis of engineering design and attention to human values. As these examples illustrate, we need to teach students to approach complex problems differently. Our future is at stake. This past May, a joint task force from the National Academies of Sciences, Engineering, and Medicine released a report entitled “Branches From the Same Tree: The Integration of the Humanities and Arts with Sciences, Engineering, and Medicine in Higher Education.” This study identified the great potential in interdisciplinary education. The list of possible benefits include improved student motivation and enjoyment of learning, development of teamwork and communication skills, ethical decision-making and critical thinking. Done correctly, engineering begins and ends with people. Done optimally, tackling our world’s biggest challenges requires a diverse and integrative approach. We see encouraging examples of this type of innovative integration in diverse corners of academia. For example, at George Mason University, the Rain Project, part of the EcoScience + Art Initiative brought together faculty from sciences, arts, humanities and design departments to develop a floating wetland. The project not only improved water quality and stormwater management, but also demonstrated the local community’s dependence on their wetlands for survival. Or the STAGE Lab at the University of Chicago, where new pieces of theater and film are created within the context of the Institute for Molecular Engineering. Here, the creation of new plays and films alongside the creation of new scientific findings inspires new ways of asking questions, in both art and science. Ethics, sustainability, questions of identity, equity or social justice, and many other topics, must be included in the scientist’s or engineer’s design process. And their repertoire must include rigorous communication, teaming, self-directed learning, self-reflection and other skills. Similarly, artists, writers, managers and other non-technical professionals lose out when their work ends where scientific thinking begins. Our Labor Day resolution this year won’t help us with weight or time management. Instead, it will help us to humbly remember the limits of any one way of thinking about major challenges and the promise of true integration. Nikolaus Correll is an Assistant Professor at the University of Colorado at Boulder, publishes an open-source robotic textbook, and is a co-founder of Robotic Materials Inc. He receives funding from the Air Force Office of Scientific Research and the National Science Foundation. America’s manufacturing heyday is gone, and so are millions of jobs, lost to modernization. Despite what Treasury Secretary Steven Mnuchin might think, the National Bureau of Economic Research and Silicon Valley executives, among many others, know it’s already happening. And a new report from PwC estimates that 38 percent of American jobs are at “high risk” of being replaced by technology within the next 15 years. But how soon automation will replace workers is not the real problem. The real threat to American jobs will come if China does it first. Since the year 2000, the U.S. has lost five million manufacturing jobs. An estimated 2.4 million jobs went to low-wage workers in China and elsewhere between 1999 and 2011. The remainder fell victim to gains in efficiency of production and automation, making many traditional manufacturing jobs obsolete. Though more than a million jobs have returned since the 2008 recession, the net loss has devastated the lives of millions of people and their families. Some blame robotics, others globalization. It turns out that those forces work together, and have been equally hurtful to manufacturing jobs. The car industry, for example, imports more and more parts from abroad, while automating their assembly in the U.S.
As a robotics researcher and educator, I strongly advocate that the best way to get those jobs back is to build on our existing strengths, remaining a leader in manufacturing efficiency and doing the hard work to further improve our educational and social systems to cope with a changing workforce. Particularly when looking at what’s happening in China, it’s clear we need to maintain America’s international competitiveness, as we have done since the beginning of industrialization. In 2014, China exported more, and more valuable, products than the U.S. for the first time. Many of these were made by the low-wage laborers China has become famous for. Yet China has also emerged as the largest growth market for robotics. Chinese companies bought more than twice as many industrial robots (68,000) in 2015 than American companies did (27,000). China’s Midea – an appliance manufacturer – just purchased the German robotic powerhouse Kuka. China has understood that its competitive advantage of cheap labor will not last forever. Instead, labor costs will rise as its economy develops. Look at FoxConn, for example, the Taiwanese manufacturing contractor of the iPhone known for the high-pressure work environment at its plants in China. The company already uses more than 60,000 robots, and has said it wants to use as many as a million robots by 2020. That’s a bold goal, especially given the current state of robotics. At present, robots are good only at highly repetitive tasks in structured environments. They are still far inferior to humans in simple tasks like picking items from a shelf. But FoxConn’s goal of transforming its streamlined manufacturing line is definitely achievable. Many of the tasks now done by humans thousands of times a day can be easily automated – such as applying a puddle of glue, placing double-sided tape, positioning a piece of plastic, tightening screws or loading products onto a pallet. Taking apart and reassembling an iPhone. The lesson here is simple: Some occupations will simply disappear, like those of weavers in the textile industry displaced by the power loom. We need to embrace this disruption if we want to avoid being taken out of the game altogether. Imagine if China is able to replace our low-wage jobs with its workers, and then can automate those jobs: Work Americans now do will be done here, or anywhere – but not by humans. FoxConn is planning its first plant in the U.S.; soon, Chinese robots will be working in America. The good news is that while many types of jobs will cease to exist, robots will create other jobs – and not only in the industry of designing new robots. This is already beginning to happen. In 2014, there were more than 350,000 manufacturing companies with only one employee, up 17 percent from 2004. These companies combine globalization and automation, embracing outsourcing and technological tools to make craft foods, artisanal goods and even high-tech engineered products. Many American entrepreneurs use digitally equipped manufacturing equipment like 3-D printers, laser cutters and computer-controlled CNC mills, combined with market places to outsource small manufacturing jobs like mfg.com to run small businesses. I’m one of them, manufacturing custom robotic grippers from my basement. Automation enables these sole proprietors to create and innovate in small batches, without large costs. This sort of solo entrepreneurship is just getting going. Were robots more available and cheaper, people would make jewelry and leather goods at home, and even create custom-made items like clothing or sneakers, directly competing with mass-produced items from China. As with the iPhone, even seemingly complex manufacturing tasks can be automated significantly; it’s not even necessary to incorporate artificial intelligence into the process. Three trends are emerging that, with industry buy-in and careful government support, could help revitalize the U.S. manufacturing sector. First, robots are getting cheaper. Today’s US$100,000 industrial robotic arms are not what the future needs. Automating iPhone assembly lines will require cheap robotic arms, simple conveyor belts, 3-D-printed fixtures and software to manage the entire process. As we saw in the 3-D printing industry, the maker movement is setting the pace, creating low-cost fabrication robots. The government is involved, too: The Pentagon’s research arm, DARPA, has backed the OtherMill, a low-cost computer-controlled mill. In addition, more people are programming robots. Getting a robot to accomplish repetitive tasks in industry – for example, using Universal Robot’s interface – is as simple as programming LEGO Mindstorms. Many people think it’s much harder than that, confusing robotic automation with artificial intelligence systems playing chess or Go. In fact, building and programming robots is very similar both physically and intellectually to doing your own plumbing, electrical wiring and car maintenance, which many Americans enjoy and are capable of learning. “Maker spaces” for learning and practicing these skills and using the necessary equipment are sprouting across the country. It is these spaces that might develop the skill sets that enable Americans to take automation into their own hands at their workplaces. Lastly, cutting-edge research is improving the hardware needed to grasp and manipulate manufacturing components, and the software to sense and plan movements for assembling complex items. Industrial robot technology is upgradeable and new robots are designed to complement human workers, allowing industry to make gradual changes, rather than complete factory retooling. To fully take advantage of these trends and other developments, we need to improve connections between researchers and businesses. Government effort, in the form of the Defense Department’s new Advanced Robotics Manufacturing Institute, is already working toward this goal. Funded by US$80 million in federal dollars, the institute has drawn an additional $173 million in cash, personnel, equipment and facilities from the academic and private sectors, aiming to create half a million manufacturing jobs in the next 10 years. Those numbers might sound high, but China is way ahead: Just two provinces, Guangdong and Zhejiang, plan to spend a combined $270 billion over the next five years to equip factories with industrial robots. The stakes are high: If the U.S. government ignores or avoids globalization and automation, it will stifle innovation. Americans can figure out how to strengthen society while integrating robotics into the workforce, or we can leave the job to China. Should it come to that, Chinese companies will be able to export their highly efficient manufacturing and logistics operations back to the U.S., putting America’s manufacturing workforce out of business forever.